It all comes down to understanding employee needs, building a culture of trust and empowering staff with the right tools, says Lim Ying Chia, country human resources director at IBM Singapore. The concept of work-life balance is one that is simple to grasp in theory, but difficult in practice. A survey by the Groningen Growth and Development Centre revealed Singaporeans work some of the longest hours in the world’s most developed countries, with an average of 2,287 hours a year. It should, therefore, be no surprise 82% of professionals in Singapore feel they are working beyond their official working hours. With ever-changing needs and challenges at different points in life, how can organisations help employees strike a balance between work and their personal life? First, we need to keep in mind that employees are people too, and a company is only as good as its people. Next, we need to start looking at work and personal life as separate domains. The key should be to strive for work-life integration, not balance. IBM Singapore recently won the Work-Life Sustained Excellence Award by the Tripartite Committee on Work-Life Strategy for consistently demonstrating outstanding success in work-life strategies. Here are three best practices on how you can implement a successful work-life integration programme in your organisation. The reality is a work-life strategy is not a one-size-fits-all approach. Every employee has different work-life needs. One may like to spend their time outside of work meeting up with friends or going to the gym, while another may prefer to spend quality time with their family over dinner. A key aspect of planning work-life initiatives (and planning them well) is first to recognise the degree to which one manages family interrupting work or work interrupting family. This can take many forms and range from flexible work arrangements to family care leave to having on site child care facilities. The key should be to strive for work-life integration, not balance. If your organisation is large, taking into account the needs of all your employees across more than 170 countries can certainly be challenging. To circumvent this, consider conducting a company wide survey regularly such as the IBM Global Work-Life Survey and IBM Dependent Care Survey. You will be surprised at how much such surveys can provide in valuable insights to help us shape existing strategies and programmes, and implement new and more relevant ones for employees. The next step to building a successful work-life programme is to promote a supportive environment. According to the Morgan McKinley Working Hours Survey 2014, 65% of respondents feel obligated to work longer hours, which suggests employees are not using their time productively in the office. Some managers share concerns that productivity will be impacted if employees are given the freedom to choose when and where they wish to work. The goal of the organisation should be to help managers disassociate the notion of the “ideal worker” with face time in the office. Instead, organisations should learn how to be more result-oriented so employees can learn how to work smart. But how? We encourage managers to stay focused on the results by setting clear performance targets for our employees, and measuring their performance by these targets. Alongside that, we always strive to cultivate a supportive and trusting environment so employees can feel at ease making use of flexible working arrangements. This is why the question “where are you?” is seldom heard in our office. We have made it so easy for our employees to work off-site that as many as 70% of our employees in IBM Singapore are mobile. To show our commitment to this, we start with our executives and managers. We have a Global Work-Life Integration Council which meets regularly to review and discuss if our company’s strategy is meeting changing business and employee needs. At the end of the day, the value of trust and personal responsibility should be a joint effort of the organisation, managers and employees. Implemented well, job flexibility and outcome-based performance management can act as powerful tools to improving employee productivity. Last, but not least, organisations need to provide the tools for employees to work wherever and whenever. With rapid advancements in technology, working-on-the-go has become easier than ever before. 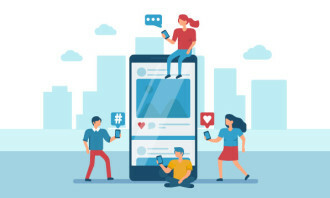 Employees can now stay connected and collaborative from both inside and outside the office with the right software and applications. We have made it so easy for our employees to work off-site that as many as 70% of our employees in IBM Singapore are mobile. We use innovative tools such as Lotus Connections and Sametime for live files sharing, and video conferencing technology such as BigBlueButton. For those who like to work off their mobiles, we have also introduced the Lotus Traveller, an internal email system built for mobile use, Sametime Connect messaging, and Expertise Locator. Through these best practices, we have found that telecommuting, along with flexible working arrangements, have significantly helped and continue to make IBM an attractive place to work at for employees. 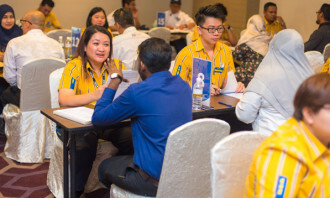 Managing a recruitment drive is more than filling roles with required skill sets, writes Catherine Ang, HR director at The South B..
Helen Wong Pik Kuen, chief executive for Greater China at HSBC, reveals the bank's plans to hire 4,000 within the Pearl River Delt.. The new guidelines aim to help Singapore bosses pick up this best practice before it is mandated in early 2016. ..